In my dining room I wash cleaning the inside of china cabnet and found saw dust on my plates what is that??? The problem is that there is no easy way to control them without fumigation. Fumigation is a process where the cabinet is placed inside an air tight vault or chamber, sometimes a tent, and a lethal gas called VIKANE is injected into this air tight space. The VIKANE will then penetrate the wood and kill the beetles. Vikane is only available to licensed fumigators. It is not for sale to the general public. The only product available for homeowner use is BoraCare. 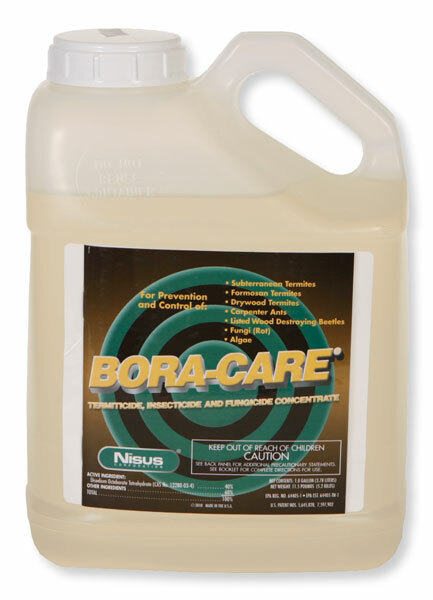 The problem is that BoraCare is water based. It will not penetrate stain, paint, varnish, etc. The only way to apply BoraCare is with the cabinet completely sanded to bare wood and then it is applied. In most cases, this is not feasible. So, the bottom line is that unless you want to completely sand the china cabinet to bare wood, and then refinish it, you will need to find a fumigator that can do this for you. In most areas, the cost is around $500. Depends on where you live. The other option? Get a chainsaw and make firewood. I would definitely remove it from your home, as these beetles can sometimes reinfest other hardwoods such a furniture, paneling, cabinets, etc. Don't take this chance. If this happens, you may have to "fumigate" your entire house. That's bad news and very expensive.